The S2-3/25 connection leads is a series of three-core leads, with te core’s intersection of 2,5mm2 in outside insulations made of PCV. 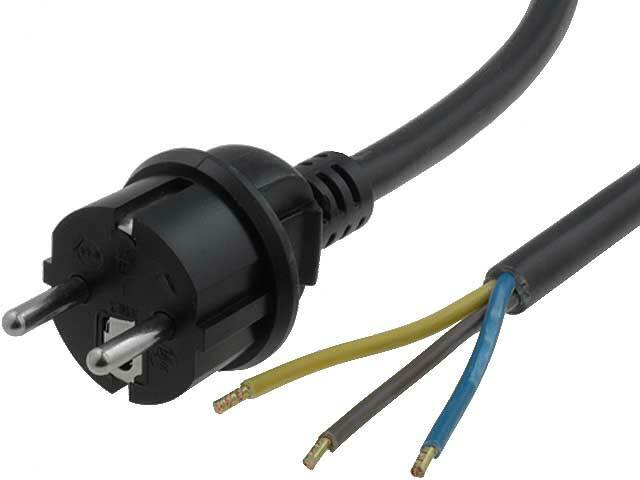 The leads comprise of Uni-Schuko plug (CEE 7/7 (E/F)) with the protection class IP44 and the H05VV-F 3x2,5mm2 cable. Such design of leads allows a long-term loading with the current intensity of 16A. The leads are designed for connecting high power electrical appliances.